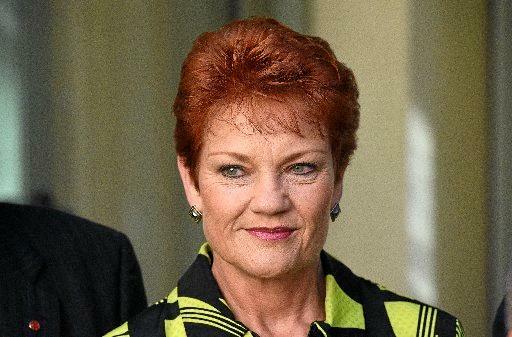 PAULINE Hanson is on the fast track to become Queensland's unofficial preferred premier with support for One Nation surging past the party's historic result at the 1998 election. A new Galaxy Poll, conducted exclusively for The Courier-Mail, has revealed Premier Annastacia Palaszczuk's popularity has nosedived while both Labor and the LNP have haemorrhaged support. Despite a string of candidate disendorsements, a policy void and public infighting, One Nation could clinch more than 20 seats at the next Queensland election, which is expected late this year. The hard-Right party, whose renaissance has drawn comparisons with the rise of US President Donald Trump, appears certain to hold the balance of power in the new 93-seat Queensland parliament with the muscle to ­dictate terms. 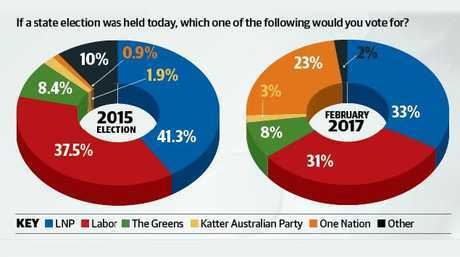 Would you vote for Pauline Hanson's One Nation party? This poll ended on 25 February 2017. The new poll, taken this week, shows One Nation's support has leapt from 16 per cent to 23 per cent over the past three months as the Queensland Senator regularly toured the regions and poached Buderim MP Steve Dickson from the LNP. 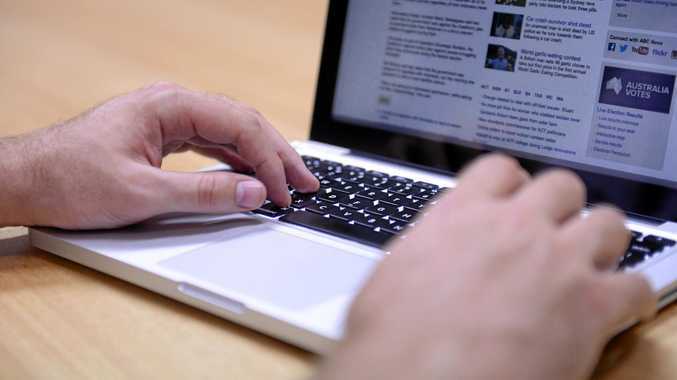 The result surpasses the 22.6 per cent of the vote One Nation achieved in 1998 when it snared 11 seats and finished second in 23 other electorates.